ur complex is located in the centre of the Ano Meria settling with an umpeded view of the Aegean combining luxurius accommodation with gastronomical pleasure. The name Alitanes derives from the small gardens which were in front of the traditional houses of Ano Meria – Folegandros called «themonies». The name derives from the ancient name «themoniazo» which means “gather” and were the single traditional homes in Ano Meria of Folegandros which included the main house, the cistern, the threshing room, the oven, the cellar as well as the small gardens (alitanes),a small orchard with the lemon tree etc. The location is unique as it is located right next to the two stone mills of Ano Meria declared monuments by the Ministry of Culture. 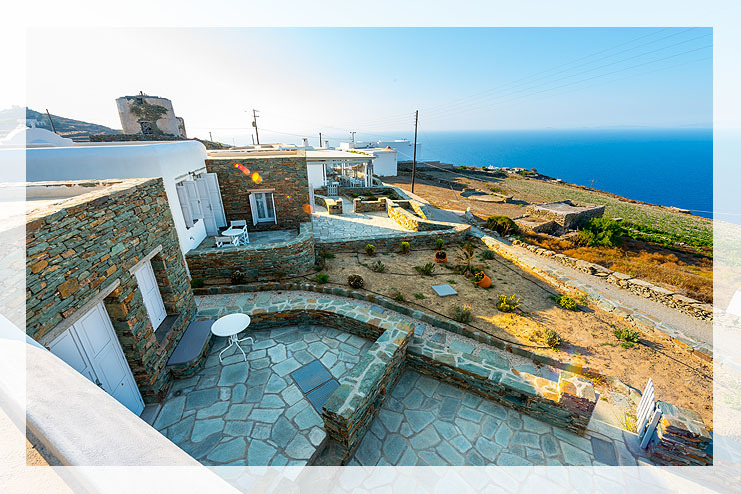 The complex includes 4 ground floor traditional tourist villas with private surroundings each, a traditional restaurant in a 19th century building adjacent to two well preserved windmills and the chapel of Stavros. 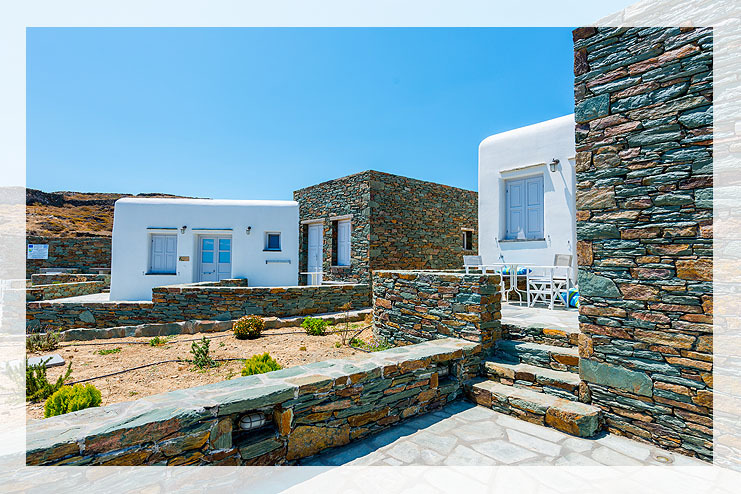 The architecture is harmoniously related to the local style of Ano Meria as local stones have been used for the construction of stone-build of the villas and the enclosing. Opposite the complex there are two mini markets and within walking distance the Folklore Museum and three tavernas. Their names have been inspired from the local flora and the plants people used to grow in their little gardens (alitanes). Each villa is independent with a view to the sea and offer all the modern means for a comfortable, luxurious stay, cherishing at the same time the local traditional architecture.